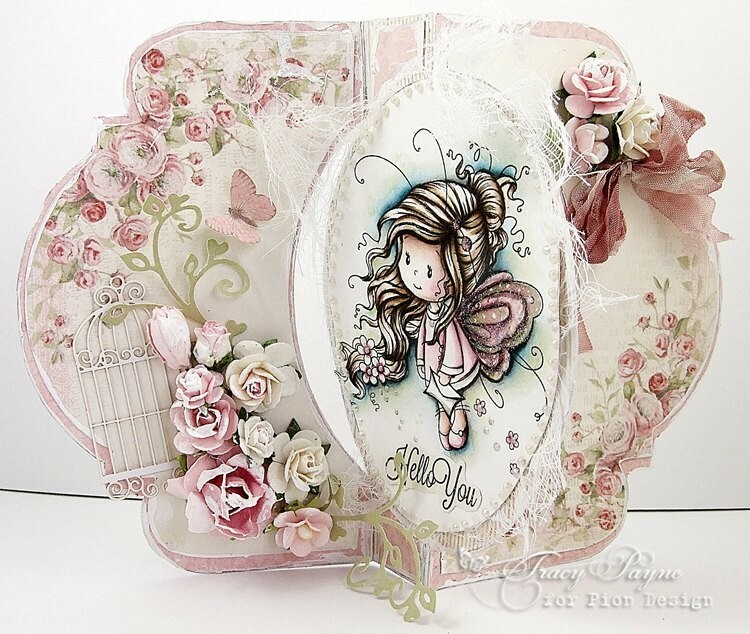 Tracy here sharing a shaped card I made using the Easter Greetings collection. I used the Pink Ornament for the bottom layer and middle panel and then the Cherry Blossom for the top, so gorgeous. I used the Pion Design Palette Green II for the swirl leaves in the flower arrangement. Oh my goodness, this is sooo beautiful Tracy. And I just love, how all your papers being Easterpapers, Christmaspapers or anyone can be used for almost any card you can think of. It makes it sooo much more useful, and good value for your money, which I at least really apreciate a lot.